For most of you in the United States, did you remember to set your clocks forward for Daylight Savings Time? The A to Z Video Challenge Contest ends tonight. We must have your videos turned in by 11:59 PM EST tonight Sunday March 11, 2012. Finalists (which may be all submitted videos since there are so few) will be selected by readers via a voting poll which will be made available between March 15th and 19th. Since there are so few videos entered, the poll may actually appear earlier than March 15th. Be watching the A to Z Blog site to vote for your favorites. Kern Windwraith at The Odd Particle [Re]View decided to take the plunge into the alphabet soup of April. Don't worry, Kern, you'll be fine. Deena will be busy in April as she participates her blogs Deena's Days and On the Road with U2. On the latter she'll be doing her 26 favorite U2 songs from A to Z--that should be fun. Of Glass and Paper made the A to Z announcement to make it official. Victoria at Always a Booklover makes a hard sell for her readers to join the Challenge. Good promotion Victoria! November Rain has her own special A to Z blog at A-Z Bloggit Write. She debuted her site with a Challenge announcement. Go over and become an early follower. Rek from A Chronicle of Dreams submitted her video offering last week-end and had a few more words to say about her entry and the A to Z Challenge. Some great Challenge tips are offered at a post from RJR Daydreamer. This might be a good checklist for everyone to review. Ruth at Welcome to Me offered a Challenge post awhile back showing that it's not always all about her. 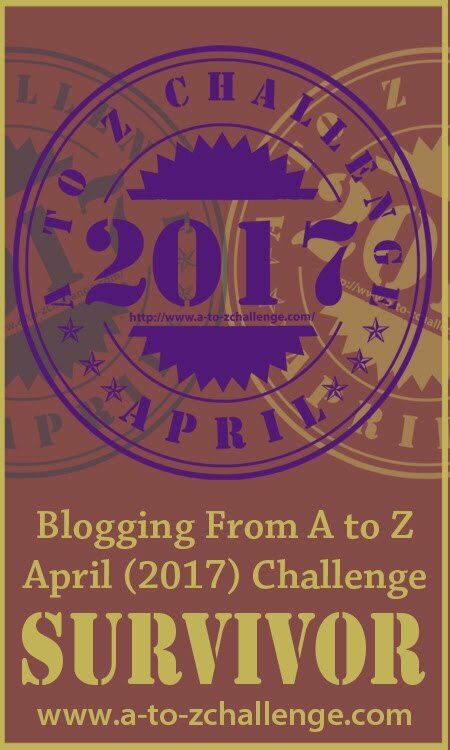 LB from LB & J blog is taking the big plunge to make her first blogging challenge the April A to Z. She's planning a fun theme revolving around Disney. The official announcement of acceptance was made at Club Creative Studio. I guess we should be expecting some creative posts from this blog. Suze at Analog Breakfast offered some helpful tips about A to Z Blogging on her site. Pick a day at My Write Spot and you're apt to find something about the April Challenge. Donna's doing it right/write. Maybe you can help her out. 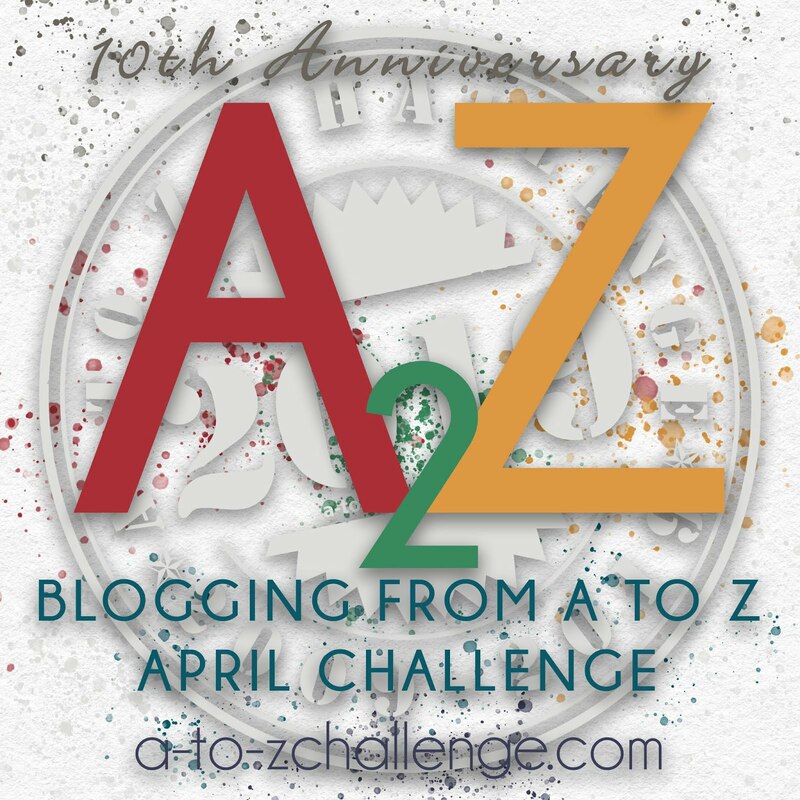 My dear blogging friend Debra Harris-Johnson from Dream Weaver puts the A to Z Challenge in perspective as she reflects on its value and its potential for those who write. 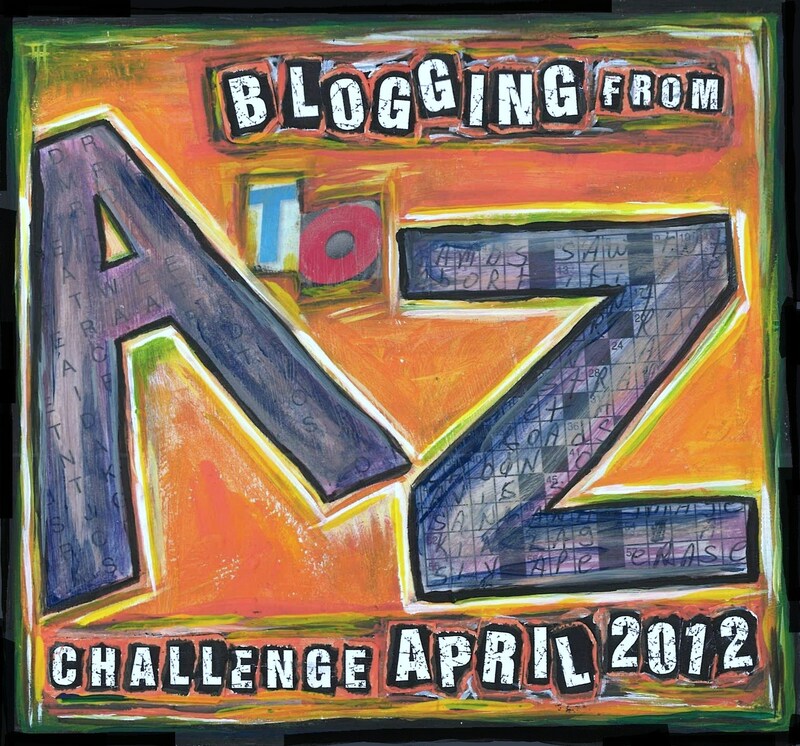 A to Z co-host Damyanti is still looking for your help with story prompts for her April Challenge entries. Read about it at Amlokiblogs. 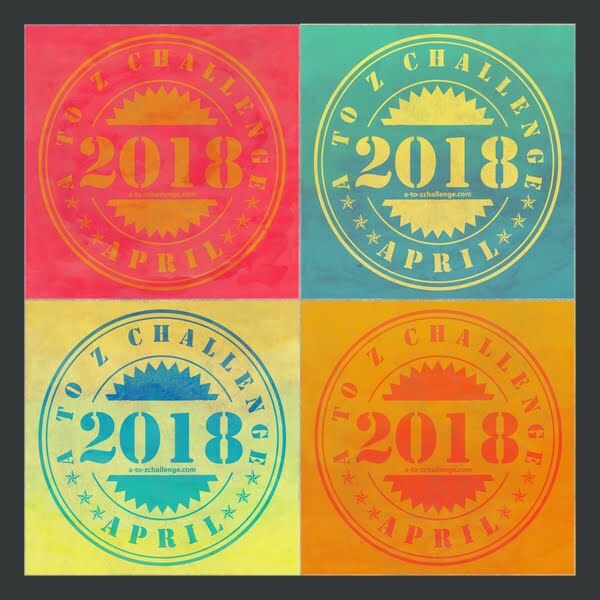 Telling others about the A to Z Challenge works. Read the story at The Writer's Experiment for a testimonial. I missed this mention from early last month. Jan at begin...begin again made the announcement shortly after sign-ups opened and I'd be amiss not to mention this. Rhonda Parrish is asking readers to ask her a question. Go to her blog to find out why. Pam at 2 Encourage tells about how her Challenge theme in April will be about "The Blessings of Blogging". There are so many aren't there. Carrie Anne Brownian will be digging up characters to bring back to life. Hmmm--that maybe isn't phrased quite right. I've made it sound like a zombie theme. You'll have to go to her site to read more. You might find it helpful to read Jo's fine article at In Which We Start Anew--good advice for all. 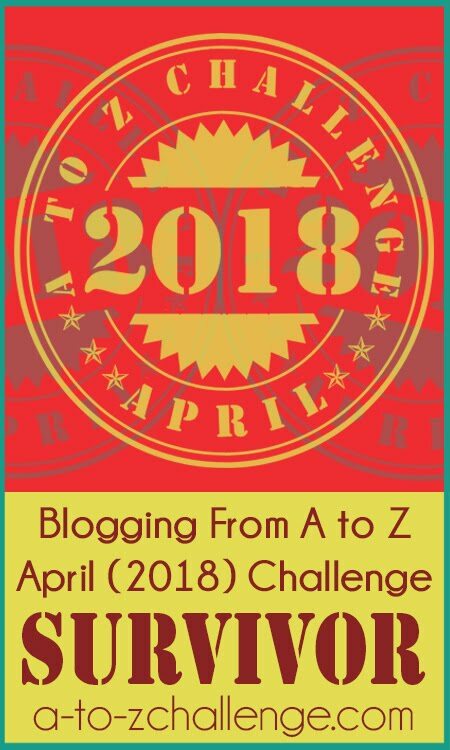 Jarm Del Boccio at Making the Write Connections wants lots of bloggers to join in the A to Z Challenge. She would also like for all of you to stop by and give her a little help. The Left Wright Brain also took the time to promote the A to Z Challenge with a nod to famous alphabetist Sue Grafton. JoJo at Tahoma Beadworks and Photography has made the A to Z commitment with an announcement of intent. Ms. Pat at just sayin' has a lot going on, but she's moving forward with the April Challenge on top of everything else. Texas Yellow Rose from Phoenix Once Again does some contemplating about the Challenge--yes, it's going to be fun. Story Gush gushed about the Challenge. Well, at least gave a short mention. The chosen topic sounds like a fun one. Kela at Teardrops On My Book also gave A to Z a plug just in time to make this week's Sunday Summary. We're trying to keep up with all of the mentions. If you run across one that you think should be included in the next Sunday Summary, please let us know. Make sure you stop by today's featured blogs and tell these bloggers hello. Thanks for the links, and good luck to all the entrants to the video challenge! I best start getting my A-Z list ready and come up with post ideas! Thanks for these ...I'm off to check out the links! Watched Rachel's video last night - she had some good words for the letters. 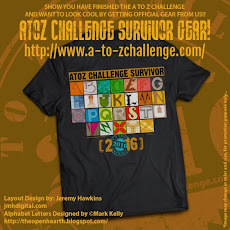 Great to see so much interest in the A to Z. I shall be taking my tee shirt to Spain next week-end. So A to Z will go Spanish. This is a very good video. Well done! It's March 11th already? Man, time flies! No, I forgot to set my clocks and was reminded to do so only when my cell phone suddenly changed from like 2:01 to 3:01. Then I thought "Man, I'm not going to get ANY sleep...the sun will soon be coming up!" lol. I'll have to check Deena's blog just to find out if any of my U2 favorites make the cut during April and am heading over to Rhonda Parish's blog, now, to find out what these question requests are all about. 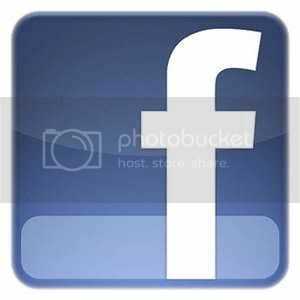 Thank you for linking to my blog! :) I cannot wait for April 1st. I can feel all the excitement from the other bloggers just itching to write and it is very exhilarating. Thank you for the reminder about the clock. 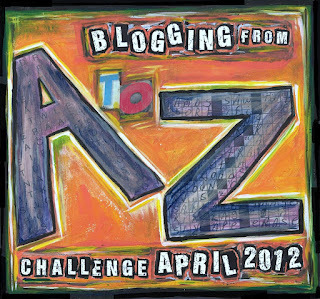 Also wish me luck for April and the A to Z challenge. Hey I got a mention ;) thanks! Well done. Great video. Good luck to all the entrants! Lee - wonderful Sunday post! It's great to see so many bloggers really getting into the Challenge mode! Great video, and thanks for the links! Thanks for the mention, Arlee. I am busy working on my posts for the challenge. My biggest problem is deciding which blessings to feature! There are soooooooo many! Thanks for the shout out! I am looking forward to it! PS - The words in my video actually have nothing to do with my actual A to Z posts. They were just random words I had fun coming up with!